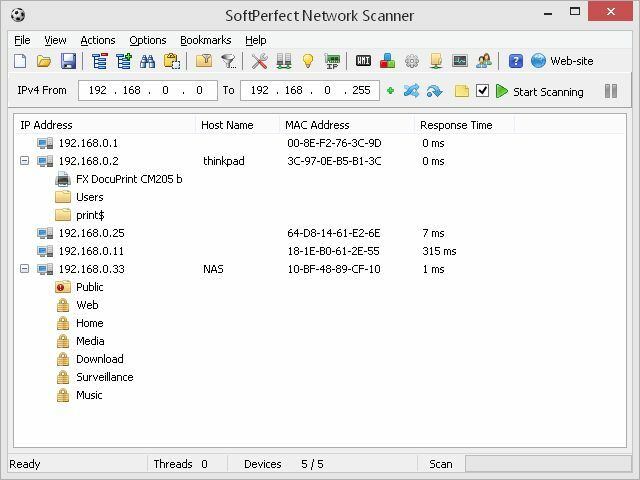 SoftPerfect Network Scanner is a free multi-threaded IP, NetBIOS and SNMP scanner with a modern interface and several advanced features. It is intended for both system administrators and general users who are interested in computer security. 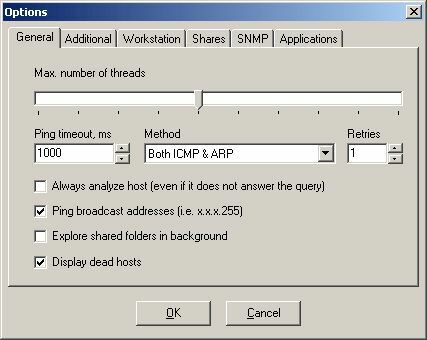 The program pings computers, scans for listening TCP ports and displays which types of resources are shared on the network (including system and hidden). In addition, it allows you to mount shared folders as network drives, browse them using Windows Explorer, filter the results list and more. 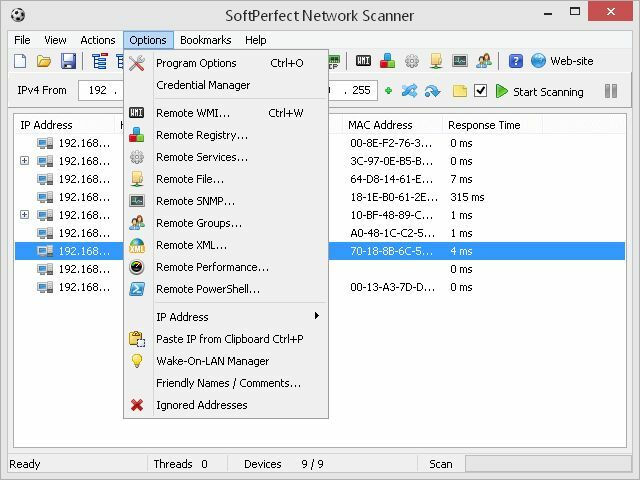 SoftPerfect Network Scanner can also check for a user-defined port and report back if one is open. 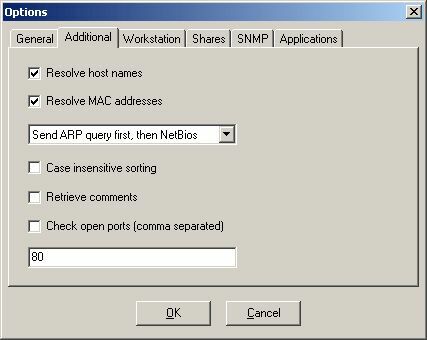 It can also resolve host names and auto-detect your local and external IP range. It supports remote shutdown and Wake-On-LAN.